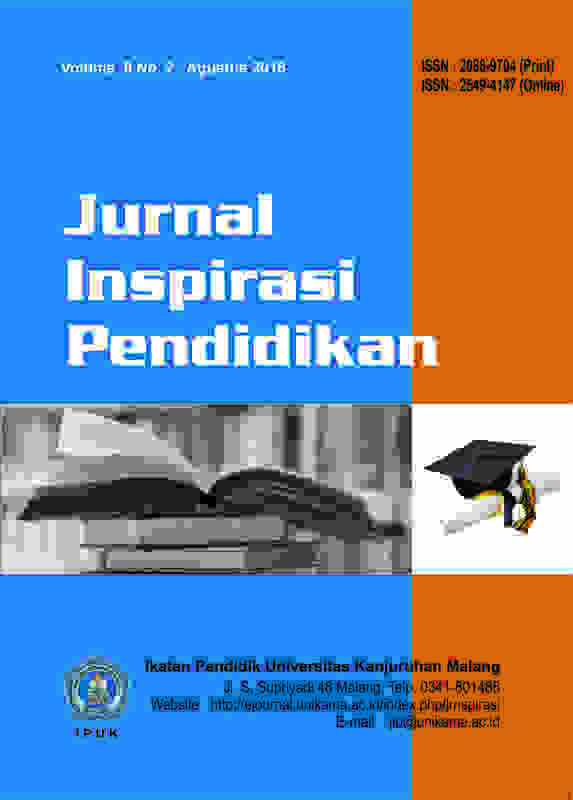 The Jurnal Inspirasi Pendidikan is a publication that contains the results of critical research and studies in the fields of education and teaching. Published twice in one year by the Association of Educators of Universitas Kanjuruhan Malang. This journal is expected to be the medium of publication of the results of qualified scientific research as well as scientific disclaimers in the fields of education and teaching. This journal can be accessed on-line and by its printed version nationally and internationally. The articles published in this journal are articles that have passed the blind-review process.